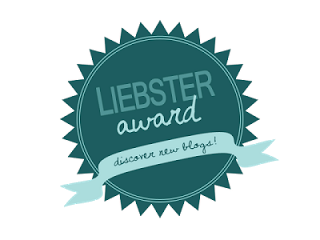 I'm so glad I've been nominated by lovely Aley for a Liebster Award!!! I'm so honored, it's my first blogger award!! So thanks a lot honey! Let's see what I have to do now. 1. Forever 21 and H&M? Uhm uhm, I like Forever21 the most but we don't have it here in Italy, so I shop more at HM. 2. One beauty product you can't live without? Can I have 3? I don't have a great skin so: foundation, luffa and almond oil. 3. Fashion icon and why? Coco Chanel because she changed the world. 4. What is the reason you began your blog? I'm an engineer, I was trying to have some glamour in my life. Ha-ha:D I was looking for a blog like mine so I thought "maybe I could do that myself"
5. Favorite beauty brand and why? 6. Who is a blogger you follow daily? 7. Posts that you love to read about? 8. Are you loving the oval nails trend or are you sticking with square nails? Uhmm, I don't really have one. I follow bloggers. 10. Inspiration for your blog? 2.Romantic dinner&walk or girls' night out? 5.Achievement you cherished the most since now? 6.Your favourite place in the world. 7.Do you like reading and what? 8.Favourite fashion brand and why? 9.What shoes represent you and why? 10.What colours represent your life? 3 max. 11.If you could be a work of art, what would you be? Congrats to you and thank you so much for nominating me.. Thank you sweeties for your comments! You male me so happy...everytime!